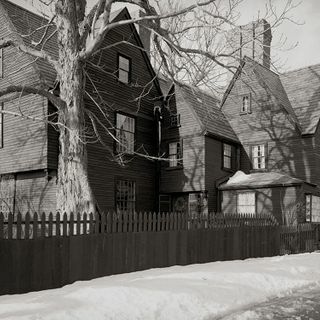 The House of the Seven Gables is a gothic novel written by Nathaniel Hawthorne featuring a real home in Salem, Massachusetts that he knew well. The story has ghosts as some of the characters and that seems true to life since there are many people who claim that the home is haunted. The Moment in Oddity was suggested by Kim Gasiorowski and features three cages on St. Lamberti Church spire and This Month in History features Unabomber killing first victim. Our locaion was suggested by Nicole ... See More Cardarelli.